I won’t pretend I am some learned movie critic that can name a 5 dozen directors in 10 seconds, identify actors by their fingernails and occasionally fix my imaginary crown on my larger than average head. I’m just a geek who grew up with multiple serving of the comic book Kool-Aid that leans slightly more to DC Comics because of the more mature storytelling and iconic characters. With that said I went to see Batman v Superman: Dawn of Justice last night with my fingers crossed hoping to be “blown away” in a good sense. In the end I was left disappointed, my geek heart hacked to pieces. The movie was hard to follow with terrible transitioning between scenes. Batman v Superman: Dawn of Justice at times just plain confusing with multiple unexplored plot threads. At some point about an hour in the viewer gets lost somewhat and is just forced to hold on through explosions and terrible acting. I tried to look at this film from the angle of a comic book fan and then from the angle of just a movie goer. It seems this film had an identity crisis trying to please the geek hordes while trying to get to the wallets of the average moviegoer. Lex Luther was most unbearable – coming across as a maniacal Joker wannabe than the arrogant, calm, suave, calculated genius than I expected. Ben Affleck as Batman was unexpectedly the best character in this film. Superman was, um ok and I am still trying to figure out how Wonder Woman’s makeup and hair was so impeccable after fighting in the rain and being kicked multiple times clear cross Metropolis. It is not as terrible as many are making it out to be but it was a disappointment that might resonate into the spinoff films DC will be releasing over the next couple years. There were spin-off seeds planted in the film for The Flash, Cyborg and Aquaman. I still think Batman v Superman: Dawn of Justice is worth seeing, just don’t go in tongue wagging and bouncing off the ceiling like I did. Now I’m even more interested to see how Captain America: Civil War turns out even just to do a loose comparison and pray that its not another disappointment that could spell doom for the comicbook genre on the big screen. 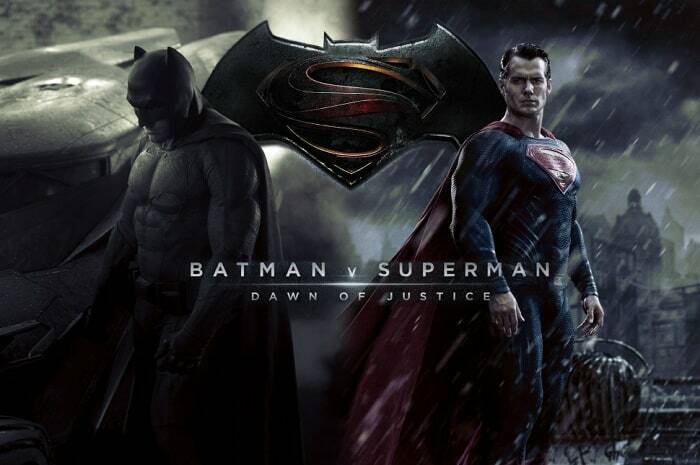 Have you seen Batman v Superman: Dawn of Justice? Plan to see it? Love it? Hate it? Don’t care? Share your thoughts via a comment below or tweet me at @Jamaipanese, I am very interested in hearing what others think. There are better ways to waste 2 hours of your life than to watch dumb movies that can’t even get a 50% rating. A six piece meal deal is “worth the eating”. This is a superhero movie written by adults for adults. The DC Universe has always had a darker more mature tone than Marvel. What I watched was a deconstruction of heroism, not a fight a minute throw away.